St Chad's College of Durham University was established as St Chad’s Hall in 1904. 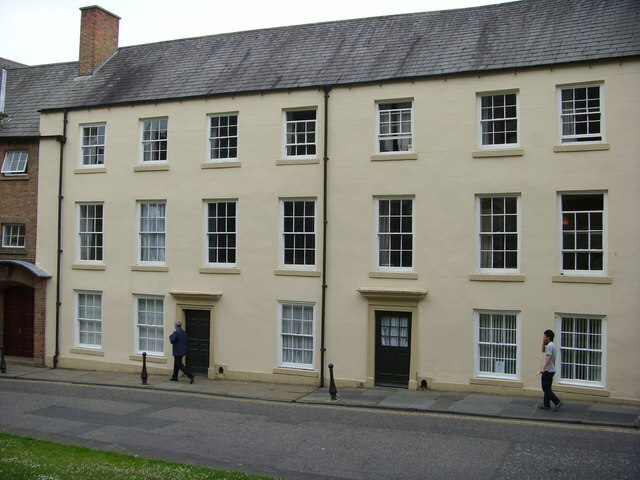 The college is located in buildings along North Bailey in Durham. St Chad's College is a recognised (independent) college of Durham University in England, founded in 1904 as an Anglican hall for the training of Church of England clergy. The main part of the college is located on the Bailey, occupying nine historic buildings at the east end of Durham Cathedral. It neighbours Hatfield College to its north, while St John's College and St Cuthbert's Society are to its south. The college is named after St Chad of Mercia, a 7th-century bishop. 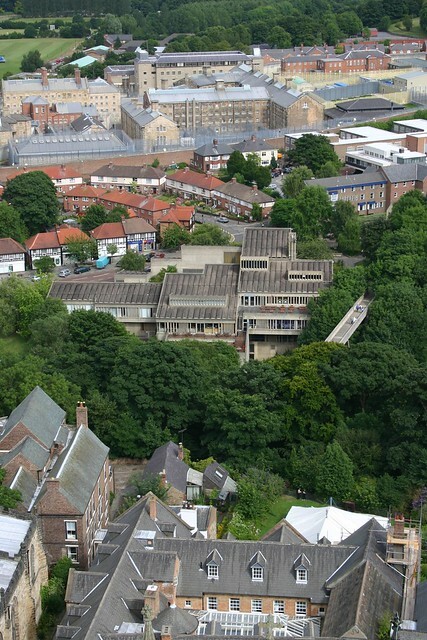 It is one of the smallest of Durham's colleges in terms of student numbers (in 2013-4, the college had 388 undergraduates and 180 active postgraduates), it nonetheless has the largest staff, extensive college library facilities, and among the highest undergraduate academic results in Durham. St Chad's was founded as an Anglican hall in 1904, principally to provide a university education for those considering ordination in the Church of England. For the first 70 years of its existence, a high proportion of students completed their undergraduate degree (in any discipline) at St Chad's and then remained for postgraduate training for ordination. The college remains a Church of England foundation but it ceased formal ordination training in 1971. Its current students study for degrees across all departments of the university. The college has its roots in the Catholic tradition of the Church of England and this tradition is still evident in services in the college chapel. Archbishop Michael Ramsey described the college thus, "I have always loved Saint Chad's College and it has been a joy to see the college go from strength to strength.... My spiritual home in Durham since 1939, Saint Chad's College represents to me the wholeness of faith and practice so needed in the universities and in the nation." The beginnings of the college date back to 1902, when F. S. Willoughby, Vicar of Hooton Pagnell near Doncaster, opened a small hostel to prepare men of limited financial means to enter one of the established theological colleges. The financial support of Douglas Horsfall, a wealthy Liverpool businessman and devoted churchman (who also funded the building of several large Anglo-Catholic churches in his home city), made it possible in 1904 to establish St Chad's Hall in Durham City. Durham University had a provision in its statutes formally to recognise colleges beyond the university proper and it permitted students to matriculate through those institutions and then to sit for Durham exams. 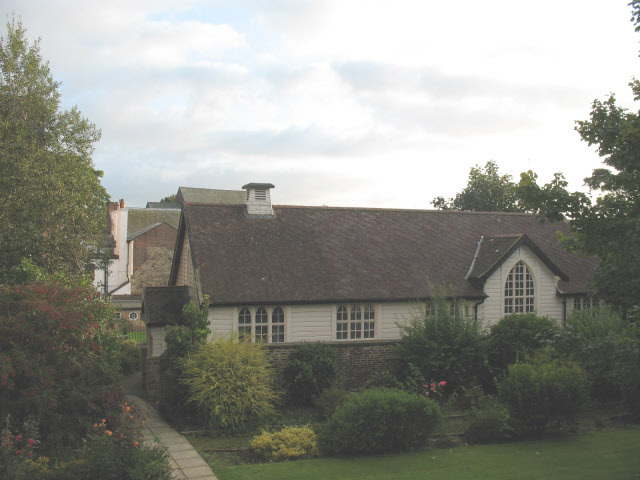 St Chad's Hostel, Hooton Pagnell, was retained until 1916 as a preliminary place of study to prepare students to qualify for matriculation at Durham. In 1918, after the college had established a number of endowed fellowships, the university recognised St Chad's Hall as a college (albeit an independent institution). A number of other halls subsequently styled themselves colleges as well. St Chad's was among the last university colleges in the UK to admit women undergraduates: as a part of a co-ordinated step-change in the university, the final all-male year entered in September 1987. The Durham University Library holds most of the college's medieval manuscripts and its oldest books, which include a number of 16th and 17th century imprints including Quintus Aurelius Symmachus's Epistolae familiares and the Concilia omnia. 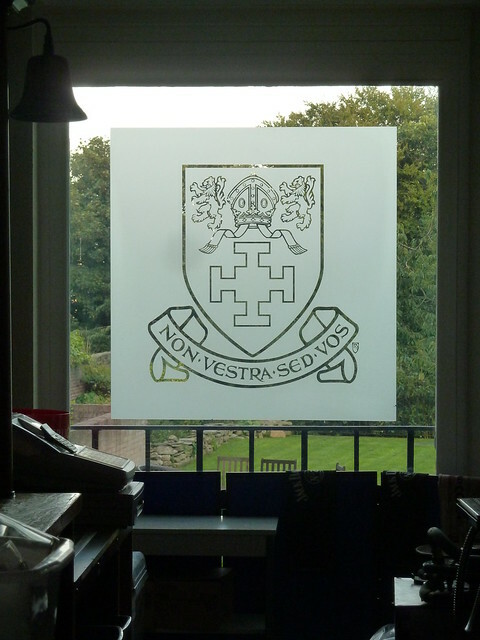 The college's motto, non vestra sed vos (literally "not yours but you") reflects the college's beginnings, when it sought to enable students of modest means to gain access to a university education. The motto commits the college to being concerned with the person, rather than with what the person owns. For over a half-century, the college has conducted an Advent procession in Durham Cathedral. The candle-lit choral service is unusual in not solely anticipating Christmas, but in anticipating the Second Coming, which is the traditional theological focus of the Advent season itself. The choir splits into two, with one group seated in the choir and the other processing from the entrance to the cathedral. The two groups call back and forth to each other, using chants based on the Great Advent Antiphons. These antiphons form the basis not only of the advent procession, but also of the popular advent hymn, "O come, O come, Emmanuel". The procession is advertised widely in the City of Durham; after the event the college hosts its annual reception for city residents. Students who study at St Chad's are accommodated in nine different houses: Queen's Court, Epiphany House, Main College, Lightfoot House, Langford House, Grads (which contains one of the oldest hanging staircases in England) and Ramsey House all accommodate undergraduates; Hallgarth Street and Trinity Hall are home to the college's postgraduate community. Main College houses the major public areas and most college offices. At the centre of Main College is the Quad, a glassed-in quadrangle built for the college's centenary in 2004. The college's dining hall, the Moulsdale Hall, is adjacent to the Quad. The Policy Research Group, the college bar and gymnasium are located in this building. There are three library rooms on the ground floor of Main College (the Bettenson Room and the Brewis and Williams Libraries). The Williams Library doubles as a multi-media room and is often used for meetings and lectures. There are two more libraries on the first floor: the Wetherall Library, which houses most of the theology and philosophy collections; and the Reserve Library, which contains the core curricula texts for all of the courses currently on offer in the university (as well as the special church history and liturgy collections). The Fenton Library and the Trounson Library, which opened in October 2006, are located on the third floor. Comprising three separate rooms, the Fenton and Trounson Libraries contain individual study carrels and are used primarily for private study. The college is unusual (in the Durham collegiate context) in the extent to which it has invested in libraries and study space. The college chapel was built after the First World War. Intended only as a temporary building, the unheated wood-frame building seats 120 people and has been in continuous use. The chapel's contents are older than its structures, with older donated pews from various churches and a ballroom dance floor from a decommissioned ocean-liner. Most of the college buildings are Grade II listed. The main building and adjoining undergraduate accommodation become the Youth Hostels Association's hostel (for Durham) during the Easter and summer holidays. 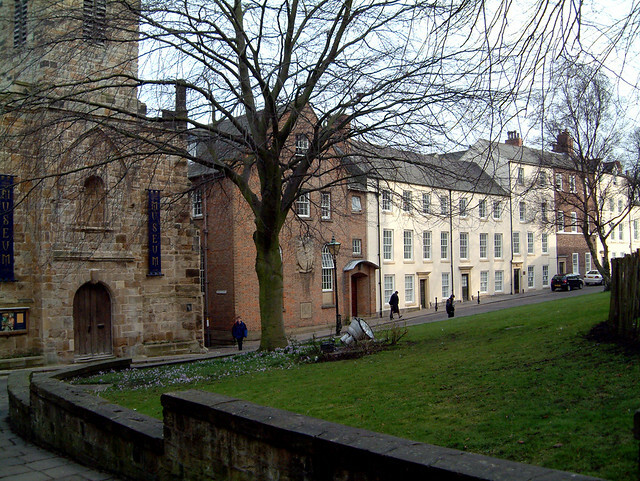 St Chad's is a "recognised college" of Durham University, but it is not maintained or governed by the university (St John's College has the same status). The college was originally licensed by the university as a hall of residence, becoming a college in 1919. The distinction between colleges and halls at that time was more a matter of style than substance, as nothing but the name changed. The college had argued for the change because it had gradually built up several endowed fellowships, which it thought were characteristic more of a college than of a hall (that said, other halls in Durham quickly followed suit without having such endowments). The term "recognised college" was first used in the 1937 statutes to refer to those colleges not maintained by the university. It remains an unusual arrangement and it means that, though most students at the college matriculate for degrees at Durham University, the college itself still remains a separate legal entity. A limited company and registered charity in its own right, it is financially autonomous, independently staffed and entirely self-governed. The governing body includes, among others, college staff and students, representatives of Durham University, of the Archbishop of York and of the bishops of Durham, Newcastle and Carlisle. All external representatives are appointed by the governing body itself (even if they are nominated by external bodies). All governors are legally obliged to further the interests of the college and they cannot privilege the interests of the bodies that nominated them. In contrast, the university's "council colleges" do not have a separate legal identity and are actually owned, managed and governed directly by the university itself. The relationship between the two recognised colleges and the university proper is still unique to Durham and is for that reason often misunderstood. In contrast, Oxford and Cambridge colleges are generally constituent parts of the university via Royal Charter, as are the various colleges and institutes of the University of London. The university's council (its governing body for non-academic matters) is forbidden by statute from having any "property in or financial responsibility for" the college. As the college no longer receives any direct public funds, it is generally reliant on its own ability to raise funds. Thus the generation of research income by resident research staff, the generation of conference income and the support of alumni are crucial for the college. As a consequence of this status, any formal or financial relations between the college and the university are effectively governed by agreements and contracts. Goods and services provided by the university to the college are charged for by the university; similarly, goods and services provided by the college to the university are charged by the college. Notwithstanding its independence, the relationship between the college and the university is symbiotic. The university's council approves the appointment of the college's principal (this is chiefly because the principal is an ex officio member of Senate). If pressed this would effectively amount to a veto, but short-lists are invariably constructed in dialogue with the university. Again, though the university council does not have the power to approve or disapprove of any changes to the college's constitution, the college, in accepting recognition by the university, agrees to notify the university of any such changes. If those changes unfavourably affect the college's status in the university, recognition can be withdrawn, which is to say the college would remain but it would no longer be able to admit students to the university. The college has a subsidiary trading arm, through which the college manages its non-academic activities. The status of the various institutes attached to the college varies, with some being wholly owned by the college, and others being partnerships or joint-ventures with outside bodies. The college's visitor is the Archbishop of York, currently John Sentamu. The visitor exercises customary visitorial functions and is the court of final appeal for any matters referred to the archbishop by the governing body. The visitor is appointed by the governing body for a renewable five-year period. In matters regarding the university itself (such as those brought forward by students), the university's visitor has jurisdiction. The college's rector is Michael Sadgrove, previously Dean of Durham and since 2016 Dean Emeritus of Durham. The rector is the titular head of the college, who has responsibility for monitoring the college's furtherance of its Anglican tradition and for interpreting college statutes. Ceremonially, the rector presides at many official functions in college: the role is akin to the chancellor's role in the university. The college is governed by a twenty-member governing body, headed by Jonathan Blackie CBE, who retired in 2011 from his post as Regional Director of Government Office North East. Responsibility for purely academic matters is usually devolved to the council of fellows. The Principal, as chief executive, sits on both the governing body and the council of fellows. The majority of governors are lay members, which means they are from outside the college. 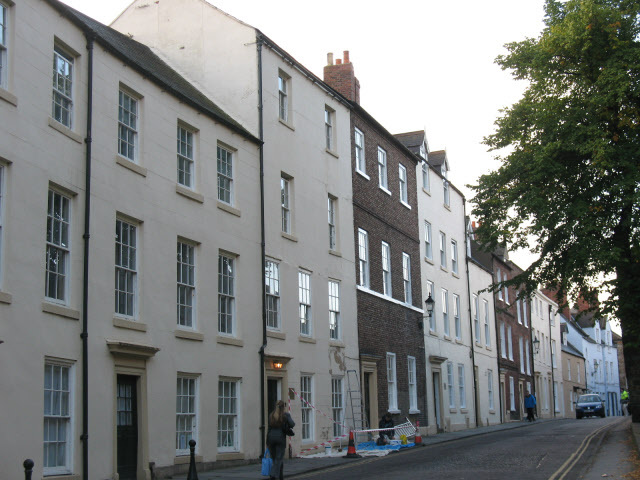 The university and the dioceses of York, Durham, Newcastle and Carlisle all nominate governors, though they must be approved by the college's governing body. The college has a modest endowment, which is enough to fund significant annual capital improvements, up to ten professorial fellowships and several dozen named scholarships. A private charity, as opposed to a public body, the college is ineligible for HEFCE (government) funding: around 12% of its income comes from charges to the university, a further 25% comes from research activities, with the rest raised through student fees, donations and conference income. The college is a registered charity. The college's turnover is £2.6 million and total assets in 2010 were £8 million (based on a deliberately conservative evaluation of the college's properties). In 2008, the college's previous bursar, Christine Starkey, was jailed for fraud for having stolen close to a half-million pounds, which would otherwise have been in the college's endowment. Starkey had deposited into the bank proceeds from the conference and B&B trade, but she failed to put these monies through the college's accounts. She then transferred the funds directly from the college's account to her own, hiding the transfers in bulk bank-to-bank BACS transfers. Starkey's house was sold and the college was eventually successful in recovering all of the money that had been stolen. Competition for membership in the college is strong and the college is the second most popular college (after the Castle) in Durham in terms of applications per place. Applications for postgraduate places similarly outnumber beds by a wide margin. Like other colleges, applicants are considered chiefly on the basis of academic merit, and 90% of undergraduates at St Chad's attain a first or upper second class degree. In the recent past, the college was one of four Durham colleges designated by the university to accept open postgraduate applications in all disciplines, though now virtually all colleges accept such applicants. 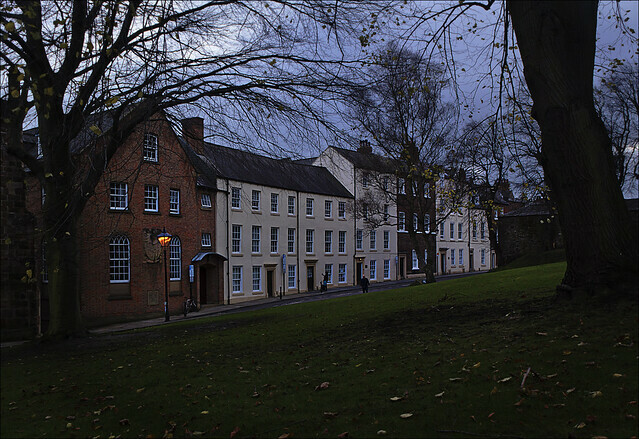 St Chad's has a number of dedicated postgraduate residences and an unusually high percentage (more than 30%) of postgraduate students. The welfare of postgraduates is overseen by the college's Postgraduate Director. The governing body of the college has an advowson over ten benefices of the Church of England. Five are located in the Diocese of Liverpool (St Agnes', Toxteth; St Stephen's with St Catherine's; St Faith's, Great Crosby; St Paul's, Stoneycroft; and St Margaret's, Toxteth), two in the Diocese of St Edmundsbury and Ipswich (Hadley (St Mary), and Wratting (Great and Little) and one in each in the Durham (Longnewton), Hereford (Pontesbury) and Leicester (Syston) dioceses. Many of the advowsons were given to the college in the early twentieth century. In the past, the patron would have had complete power to appoint the new priest; that power is now exercised jointly with the local bishop and parish (and often with other patrons). Though most Durham colleges are primarily residential rather than teaching institutions, St Chad's has its own research and academic staff. The college includes a number of institutes and research groups: the Durham Policy Research Group, a group of more than a dozen academics headed by professors Fred Robinson, Ian Stone and Tony Chapman, each of whom has his own research team. They advise on government policy and conduct primary research into regional development, regional economics and third sector activities. Other academics work full-time in the college but often in conjunction with various university departments (e.g. in the medical humanities). Still others work chiefly outside the college and university: for instance the filmmaker and professor Richard Else, in conjunction with Triple Echo Productions (a Scottish-based film production firm), works regularly with Traidcraft on behalf of the college. In addition to its primary charitable object of supporting students and scholars in Durham, the college works closely with Traidcraft, with whom it jointly promotes fair trade practices and offers the Traidcraft Fellowship. The college jointly sponsors the Ruth First scholarship, which annually enables a South African postgraduate student to study at Durham University. To widen participation, the college has created partnerships with a number of secondary schools in the North East and beyond and has worked with primary schools in the market town of Crook. All Durham colleges are interdisciplinary, enabling staff and students to broaden their study and research interests. St Chad's runs a collegiate studies programme, which complements departmentally-based studies. The programme is explicitly justice-orientated, reflecting the ethos and history of the college. Students and staff are introduced to complex social issues in the North East of England through study tours and seminars; they are invited to participate in a weekly programme of training-events that go beyond traditional transferable skills to include such things as ethical decision-making and introductions to fair-trade practices, social accounting and eco-friendly life-strategies. In addition to the usual sports and cultural activities offered in most colleges, St Chad's has an international placement programme. Under the auspices of the Historic Schools Restoration Project, the college has a link with St Matthew's High School in Keiskammahoek, Eastern Cape, South Africa, where students and recent grads mentor and teach for up to four months, some also providing in-service subject-specialist support to staff. The South African project includes training with staff from St Andrew's College. Along with most Bailey Colleges, St Chad's students wear their college gowns to formal hall, matriculation, college congregations and other academic or formal events. The college gown is similar to others in Durham, with the addition of green cord across the edge of the vented sleeves (in practice most undergraduates' gowns do not have this feature). St Chad's also has retained its own distinctive academic hood (of black stuff with green lining and trim): previously designed for pre-1970s ordinands, the hood is today worn by graduates of the North East Institute for Theological Education and by honorary fellows. The rector has a distinctive robe (a full-sleeved gown of black corded silk, faced with silver-trimmed palatinate purple, and with sleeves lined with palatinate purple); college officers generally wear the academic regalia associated with their highest degrees. Though all Durham University students now participate in large matriculation ceremonies in the Cathedral, St Chad's has, for over a hundred years, conducted its own matriculation. This signals the fact that students are obliged to follow the regulations both of the university and of the college. Matriculands wear academic dress at the ceremony and every student signs the university's matriculation book, thereby sealing an oath to adhere to the rules and traditions of the college and the university. The chapel is overseen by the college chaplain, an Anglican priest. Chapel attendance is entirely voluntary, given that the college accepts students without regard to their religious background. The college maintains a collegiate choral tradition, headed by the director of music. Membership in the college choir is by audition. The choir tours regionally and internationally and produces an annual CD of their music. The regional tours include regular visits schools in the North East, especially those on council estates, providing music workshops to students. The college offers a number of choral and organ scholarships every year. The college bar won the "university bar" category of the 2009 Best Bar None awards for Durham City and held this title until the end of the 2009–10 academic year. St Chad's bar is one of the few remaining college bars still run by full-time undergraduate students elected by the student body. St Chad's College Boat Club was founded in 1906 and operates from the college boathouse on the River Wear. The college football team was promoted to the Men's 1st Division in 2007. 2011 has seen the re-establishment of a theatre company at St Chad's, Green Door Productions, which aims to promote all aspects of theatre within the college, be it acting, directing, set design or backstage work. In a highly publicised event, Australian actor Russell Crowe visited the college in 2011 to give a masterclass in acting. Every year the college hosts a Candlemas Ball. Founded in 1956, this is one of the older and more flamboyant balls in the university. It is recognised, along with University College's June Ball, as being one of Durham's versions of the University of Cambridge's May Balls. For the 58th Annual Candlemas Ball, the committee in charge has created a website- http://www.candlemasball.com/. Twice a week throughout most of the whole academic year, members of the college don academic gowns and gather for formal hall. This tradition brings students and staff together, though fellows, tutors and their guests sit at high table. This not only enables students who are living out to visit college, but it enables the college to entertain official guests regularly. The college has a number of feasts throughout the year. Both the Dining Hall and the Quad are used to provide a four-course meal for up to 250 people. Among the largest is the Principal's Feast, usually scheduled within a week or two of St Chad's Day. The Rector's Feast, a relatively new tradition, welcomes the rector to the college for a formal "visitation". The Domus Dinner is an annual gathering of college fellows along with college benefactors and guests. Feasts are often used to induct new fellows into the college. St Chad's Day features a day-long celebration (sometimes called a "gaudy" because of the formal proclamation of the day) and begins before sunrise with a noisy wake-up call: in the past, the students would 'invade' neighbouring colleges, waking them up as well; though after a particularly boisterous event in 2009, which garnered much unwanted attention from the student media, the college successfully reshaped the celebration. After a green breakfast, students wear green clothes and body paint to various events and challenges held throughout the day, gathering at noon for a run around Palace Green. Various musical and social events are held throughout the day and night. Joseph Cassidy was principal of St Chad's from 1997 until his death on 28 March 2015. A Canadian social ethicist and Anglican priest, he was also a non-residentiary canon of Durham Cathedral. On 1 March 2016, Margaret Masson, previously Vice-Principal and Senior Tutor of St Chad's, was appointed Principal. Senior college officers include the principal, the vice-principal/senior tutor, the chaplain, the directors of the various academic centres, the librarian, bursar and commercial director. In addition, St Chad's has over 30 college fellows, research fellows and research associates. There are over 50 college tutors who act as mentors for both undergraduates and postgraduates. The college offers a number of visiting fellowships to academics of all disciplines. A further 100 university staff associate themselves with the college, chiefly through membership in the Senior Common Room. The college awards honorary fellowships, usually to distinguished alumni of the college, but also to others who have made significant contributions to the college, the church or to public life. Arthur Bostrom, actor who played Officer Crabtree in 'Allo 'Allo! John Robert Hall – BA Hons Theol. – Dean, Westminster Abbey from 2006, Dean of the Order of the Bath, since 2006, made a Hon. Fellow in 2009. Text from Wikipedia, available under the Creative Commons Attribution-ShareAlike License (accessed: 28/02/2018). Visit the page: St Chad's College, Durham for references and further details. You can contribute to this article on Wikipedia. I used to work there, you know!